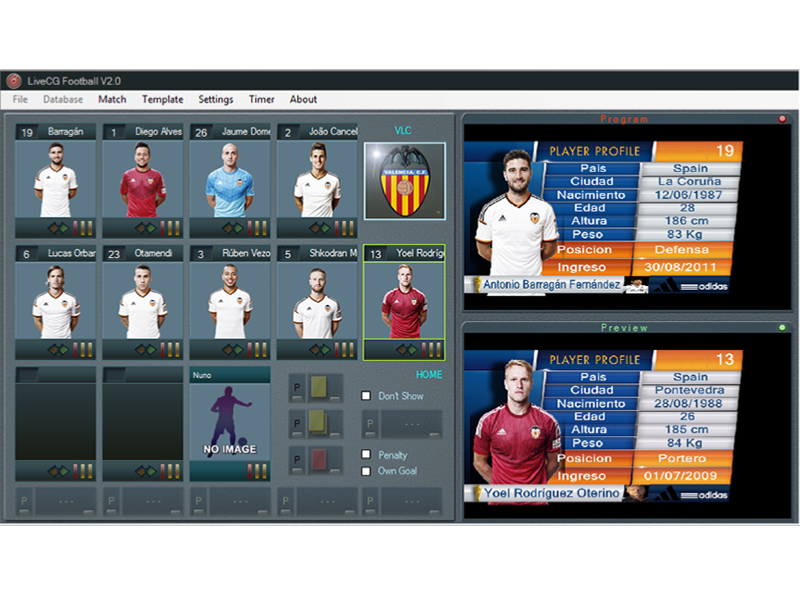 LiveCG Football 2.0 SDI works on Windows on an independant PC. It supports BlackMagic Decklink 4K Extrem and Duo 2 capture and playback cards to easily overlay animated graphics on video signals, and to connect to a video mixer through SDI Fill&Key inputs. Video cards not provided. 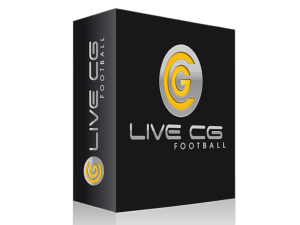 LiveCG Football SDI can directly display graphics on a big screen connected to a PC's graphic card's output. 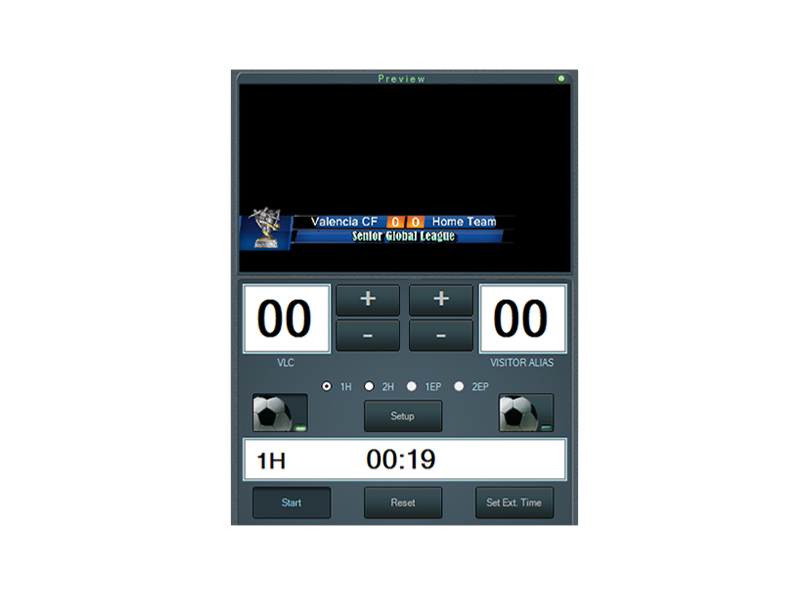 It also supports NewTek IP protocols, AirSend and NDI, to connect to a TriCaster. LiveCG Football is already used by major clubs in European first leagues.